Hi how is your weekend going? I’ve been trying to find time to post as there are many cool new things for spring. Lately I have been busy finding and planning a move into a rental during our remodel and trying to sort our summer vacation and activities. This time of year gets so busy doesn’t it? 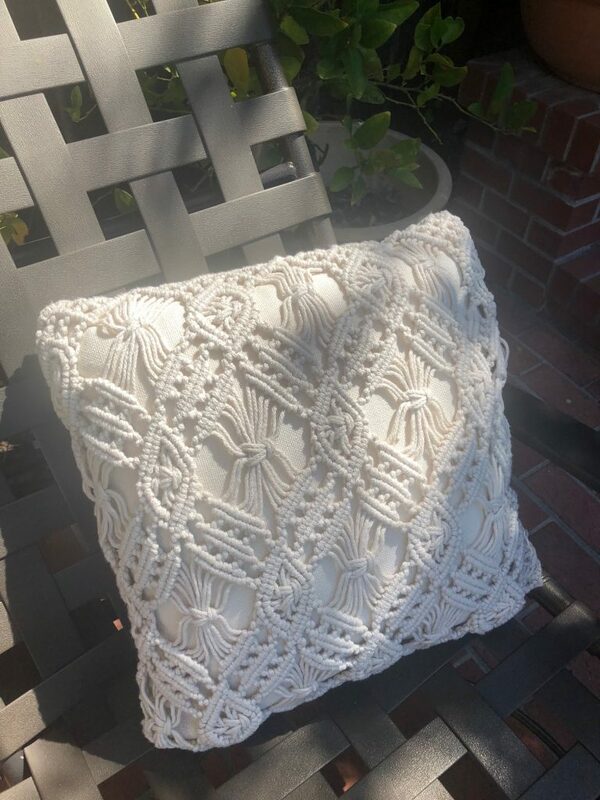 I thought I’d share a few good finds and new things I am loving- this time it’s mainly from World Market, which has done well with their spring collections. I’ve been wanting to sit in the yard more and have friends around. The yard looks sad after winter so I spent yesterday at the garden store and the World Market to try to pretty it up. According to my dad, Friday is the day to shop garden centers for plants and they get the stock for the weekend so things are not picked over and less crowded. I bought hydrangeas, lavenders, geraniums and ivy and a few houseplants. Just popping those in and changing out some half dead pots made a huge difference in the yard! Next I hit Cost Plus which has all the supplies you need for a fluffing up your yard or entertaining alfresco. Cute too. Their buyers are doing a great job unlike Pier 1. 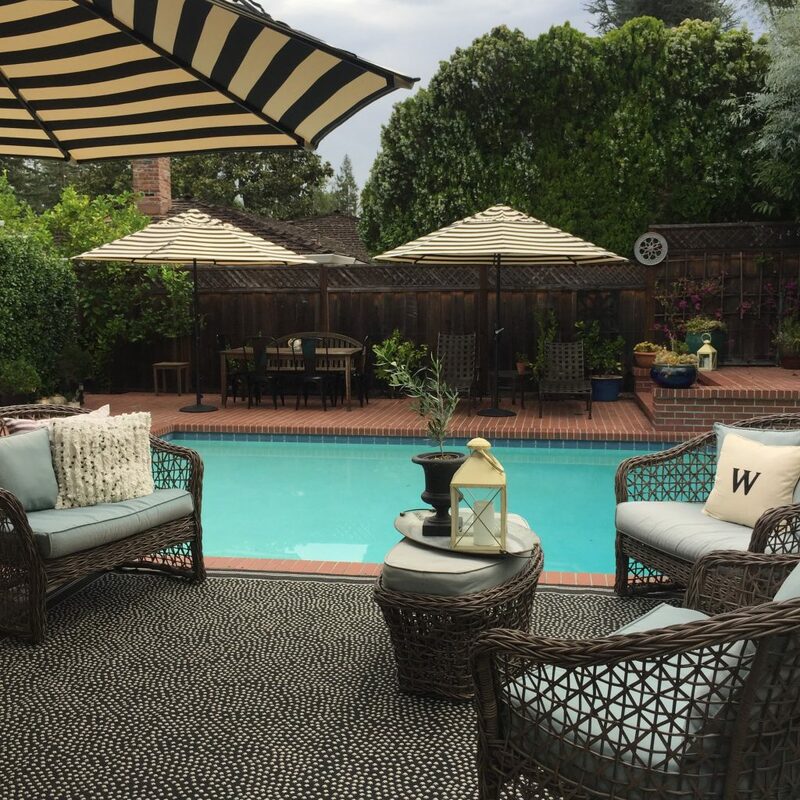 I’ve got a black and white theme going thanks to my striped umbrellas and rug I added last year from Ballard Designs. They are hands down the best investment ever. The 11 foot umbrellas are amazing for their shade and ease of use and they have weathered the winter beautifully. I highly recommend them. I did it all by mail and even ordered extra 50 pound weights to hold the umbrellas down. I was sick of not having enough shade a a lot of faded umbrellas in different colors. I even sprung for the Sunbrella or whatever it is this time. 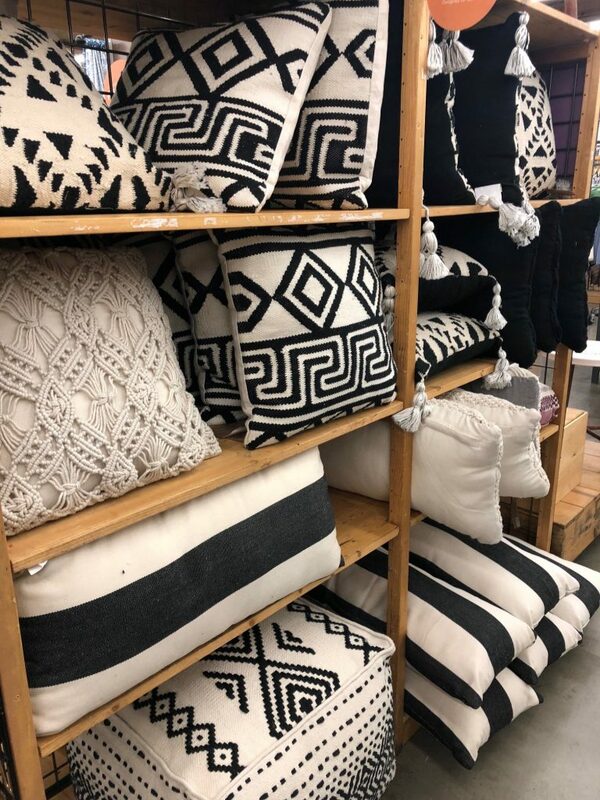 I was glad to see World Market’s outdoor selection of pillows in graphic black and white made in a heavy duty fabric of recycled plastic bottles! 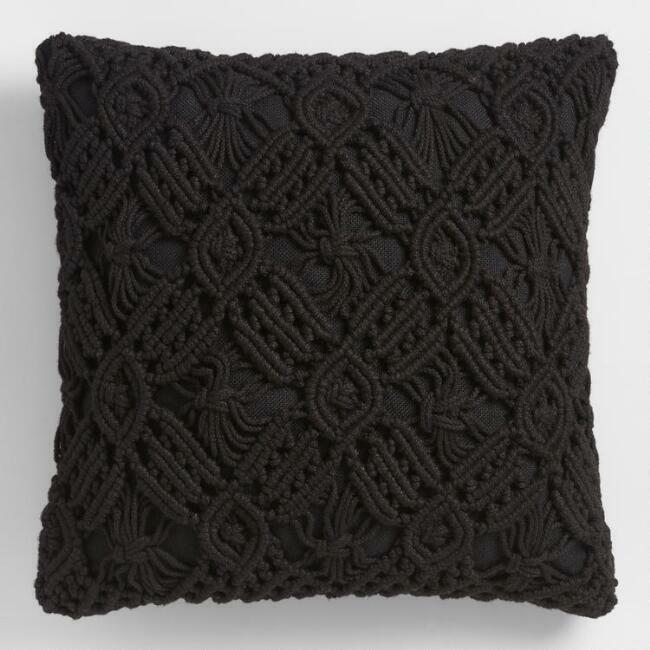 Also fab are these darling macrame pillows . I bought one in black and another in natural. I put them outside, but may move them inside as I like them so much. They have a real vintage 70’s California feel to me. Also a good buy- this beverage container. 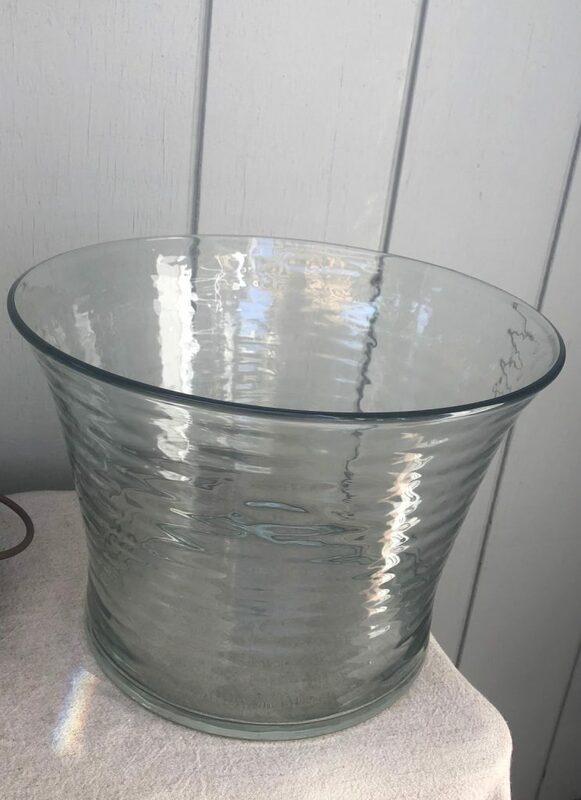 I really needed something prettier than a galvanized tin for all the wine bottles and this looks lovely filled with rose’ and white wines and ice. They call this the textured party tub. They had a fantastic selection of rose from France, Spain, Argentina, New Zealand and California. I bought an assortment to have in my frig for impromptu gatherings and you get a discount if you buy 4 bottles and you can mix the brands. I also buy the small glass bottles of Pellegrino water which are cute in a bar for entertaining and hard to find sometimes. 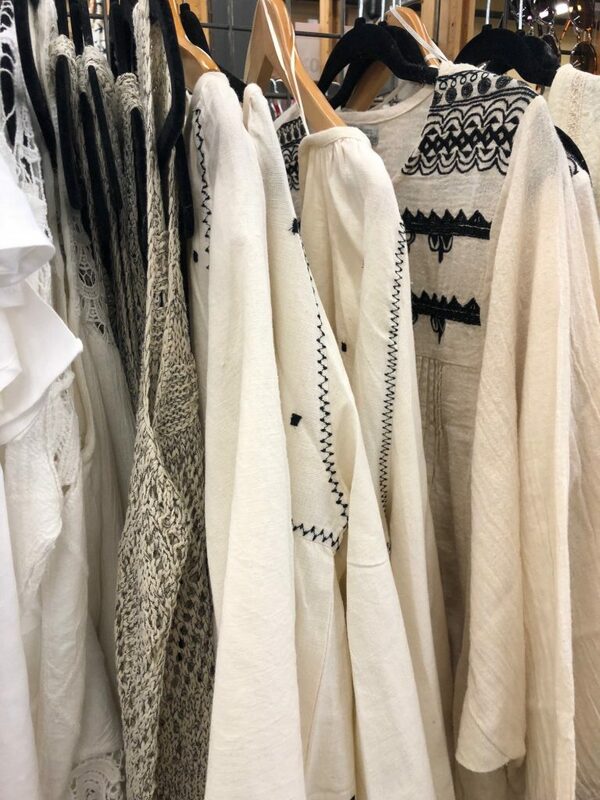 I like to investigate the clothes when I am there and last year I found my favorite white blouse that I wore all summer. It is often of hit or miss. 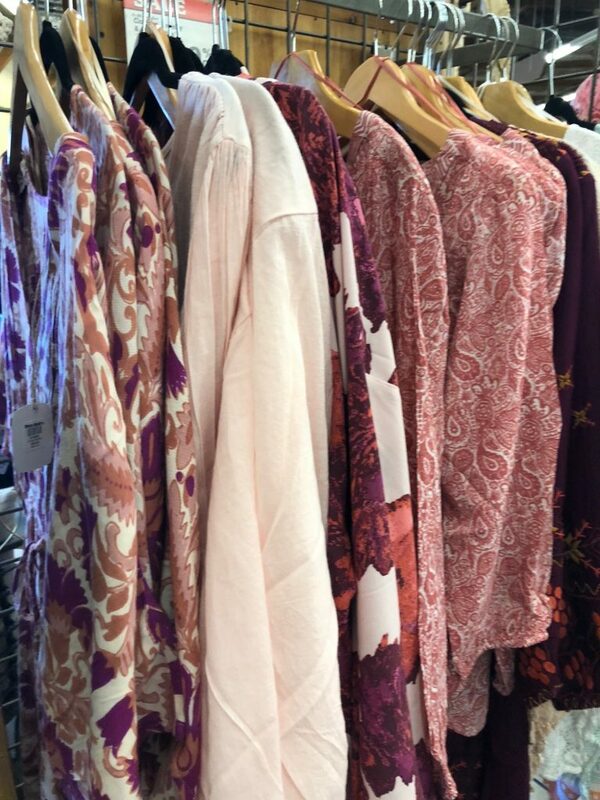 Right now they have 4-5 racks of cover-ups, dresses, caftans and tops. 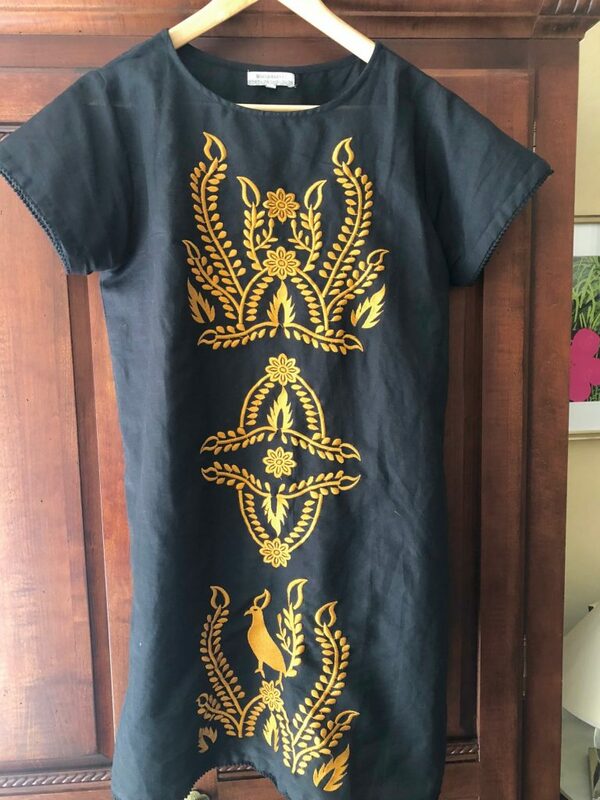 Without a dressing room I took a chance and bought this black shift dress. I loved the detailing on the edges and the print. I didn’t take a photo with it on, but with these J. 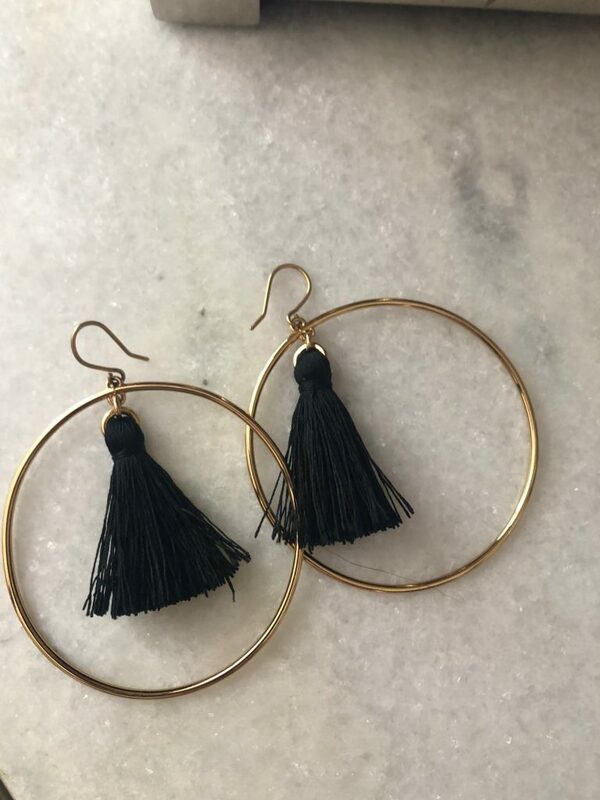 Crew earrings and some strappy black flats it’s perfect for summer travel or parties. They no longer carry the earring online, but they have this newer version here or you may catch a pair in the clearance section of the stores. 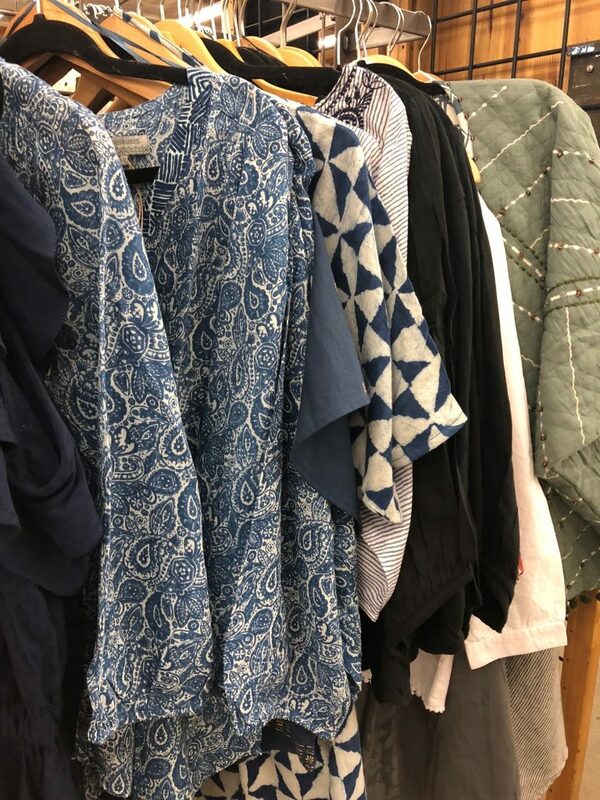 Some of the lovely offerings right now at World Market in the clothing. More here online. 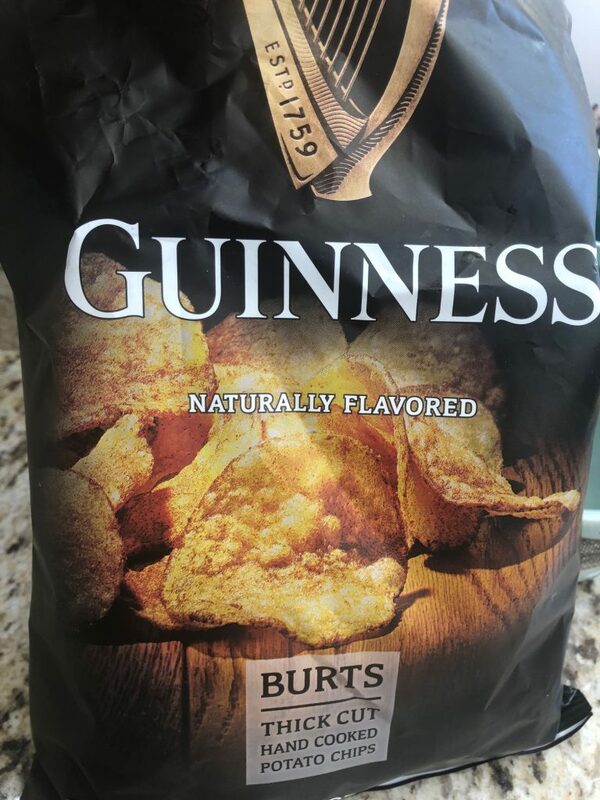 I made another accidental discovery there – Guinness potato chips. I grabbed them yesterday and everyone seems to think they are something special. They have a salty/sweet twist to them and they pair well with a glass of rose! I also made a trip to the store last week for the Buddha I saw on Cindy Hattersley’s Rough Luxe blog. See mine on the top photo above on my dining table. I love it. Cindy has an eye for cool things and did a great post on styling your kitchen along with a few other bloggers. I loved the placemats from that post too and some of the dishes and generally all she does! 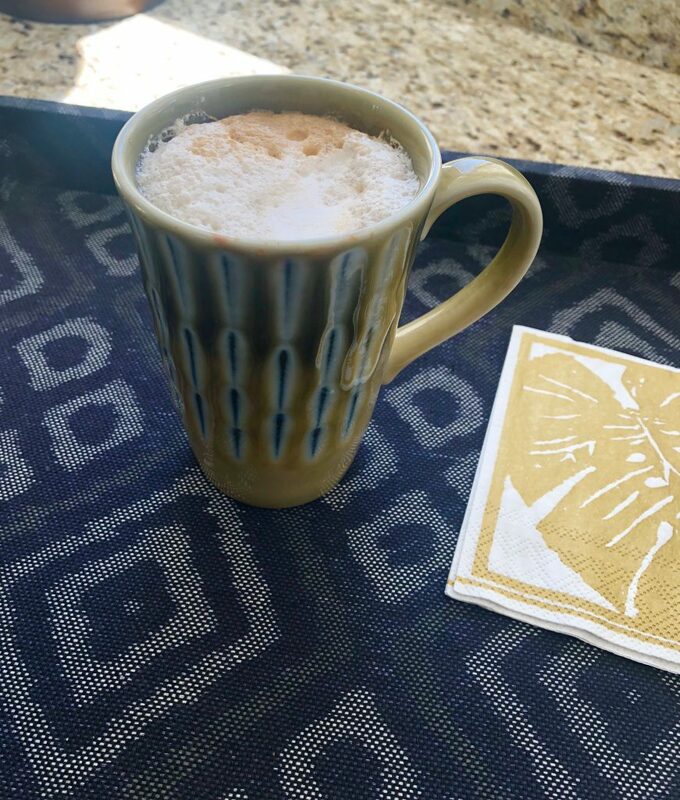 When in the Big Island in April our hotel used the most perfect Japanese stoneware mugs that were tall, narrow and kept your coffee hot, and felt great to hold. I found an almost exact match in these Akari cups. 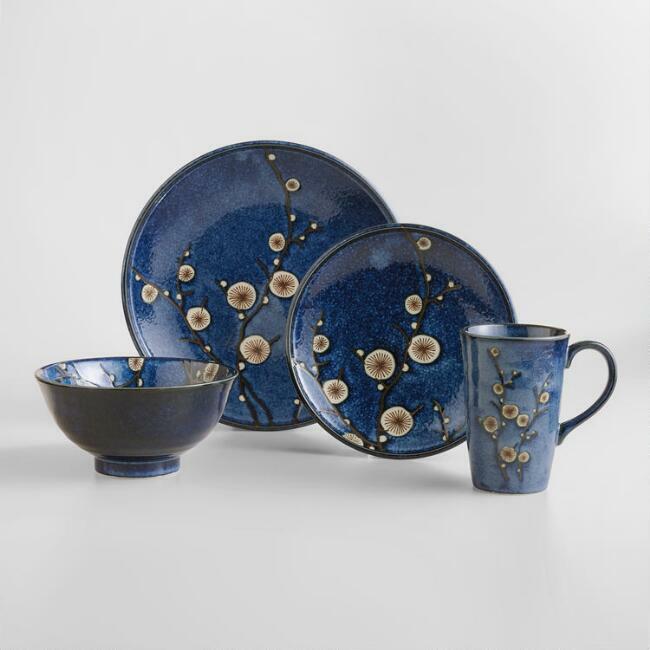 They also have these lovely blue plates with Cherry Blossoms made in Japan. 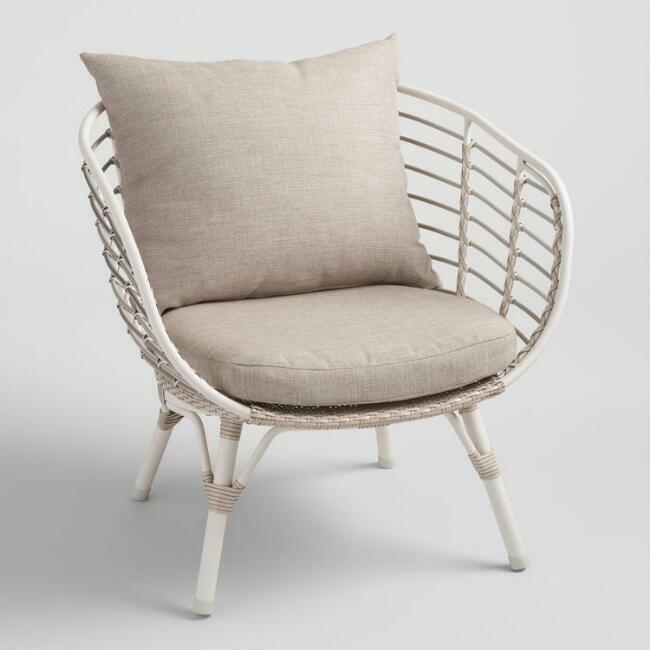 Oh and before I forget the new outdoor chairs..So many excellent styles. How chic are the Negril Chairs ? They also come in black. One in the corner of a bedroom would be nice. I want a pair for my porch. 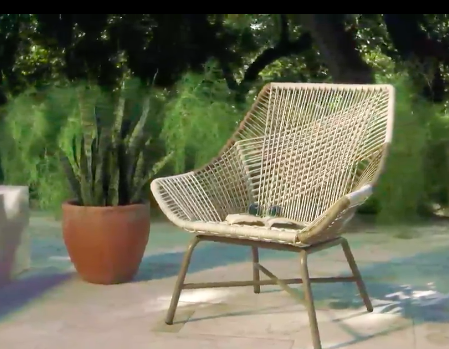 I also am crazy for these Andalusian All Weather Wicker Chairs! They are mod and fun. If you need a refresh in the yard or home or are having a gathering World Market is good place to start. Have a beautiful weekend and I do hope the moms out there get spoiled a bit. I am planning to sit in my yard tomorrow, put my feet up and read the paper while the family makes me French Toast. Afterwards I’m having the boys put some plants in for me and tomorrow night my youngest has a cello concert. Tonight we are getting takeout and I hope watching a movie of my choice, for a change! My mom and grandma are on my mind this weekend. We had so many good years with them, so many family backyard barbecues and brunches over the years. It’s not the same without them. I know many of you are missing your moms too. Thinking of all of you and all the wonderful women that are gone, but will never be forgotten. They live on in us all. Kim, I love those pillows, and I may have to stop by World Market and pick some up. I’m glad you shared about the Ballard umbrella, I’ve been eyeing it for some time and have a gift card…might be time to get a couple. Happy Mother’s Day to you! Holly, Holly hope you had a lovely weekend. I think that dress is prefect for a BBQ! Thank you so much about my mom. YOU ARE ON A SHOPPING SPREE! COST PLUS does THAT……..I go in about twice a year and always think WHY don’t I come here more often! I found cushions in Yellow for my outdoor table this year and I agree what happened to PIER ONE!!!!!!? Love the food selection as it is a walk down MEMORY PLACE for me………LION BARS from ENGLAND! The napkins and tablecloths are great TOO……. WHEN WILL I SEE IT!!!!!!!? Love all of your picks Kim and you do California style so well! I’m just back from beautiful Alpharetta Georgia and I’m exhausted. I had a nice Mother’s Day with my rascals though, and my great friend Kristy is back from her winter in Charleston so she was able to join us too. 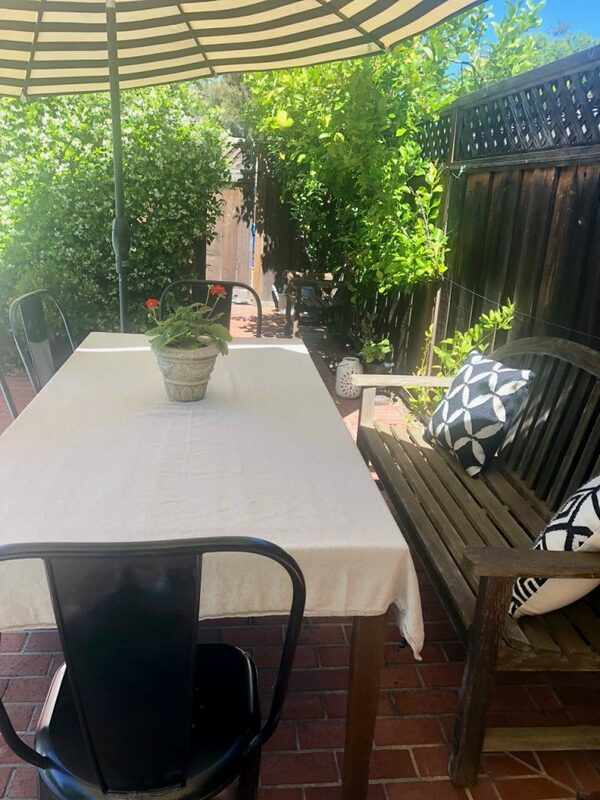 I have so much work to do getting my garden organized and ready for entertaining, thank you for the inspiration. Love the sound of all the plants you bought. And that dress I LOVE it!! Kim – JUST found your blog. Love it. 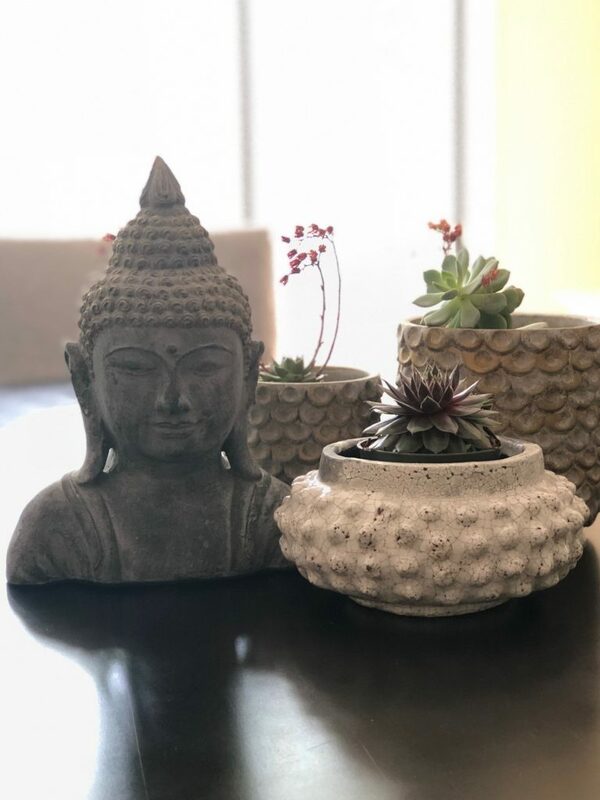 Q for you regarding the Buddha head planter and 3 other pots on your front page – saw the Buddha online at World Market – where did you find the other three? SUPER cute, simple and would be perfect for me with what I’m doing. Thanks much! Alissa, I had the planters- two gold ones were from Anthropologie. I checked their website and don’t see them now. the white one was from my local florist- Bunches, in Los Gatos. They still may have them. I’ll keep checking and see if I can find something similar tonight and share the link. Thanks so much !